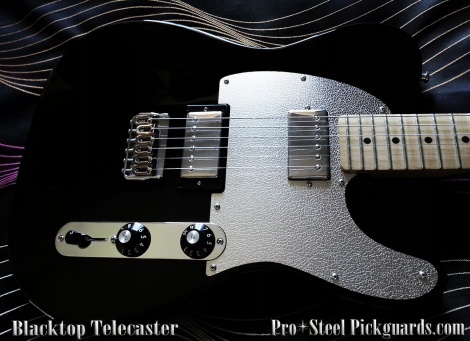 An organic type surface design is textured into polished stainless steel for Fender Blacktop Tele. Buffalo is like metallised leather grain. El Toro Tele!. NOT designed for a Tele single bridge-plate. Get these here Tele S/H. Other Tele's, Squiers etc: If a standard Fender Tele or Blacktop guard fits, this guard will fit.